SAPICI Position on the Diisocyanates Restriction Proposal - SAPICI S.p.A. Since 2004 SAPICI has been developing, manufacturing and commercialising truly advanced polyurethane products and solutions fully compliant even with the proposed further restrictions suggested by the German Dossier submitted to ECHA. CARONNO PERTUSELLA (VA, ITALY) — July 3rd, 2017 — SAPICI is sharing today with the international media, along with its clients and key business partners, its Positioning Statement and Recommendations on the European Diisocyanates Restriction Proposal submitted by Germany to the European Chemical Agency (ECHA) and currently subject to public consultation. The complete SAPICI Document is downloadable from the Company’s website (www.sapici.it). While fully endorsing, sustaining and implementing the strictest standards for the continuous respect of the human health and the environment preservation and protection, SAPICI recommends that the identification and implementation of parameters and methods for chemical products evaluation and circulation in Europe shall not damage the European chemical industry’s licence to operate and its ability to develop and offer polyurethane-based customised solutions to its clients. Neither the restrictions should impact the international competitiveness of the European industry at large. SAPICI’s clients know that since 2004 the Company has been developing, manufacturing and commercialising truly advanced polyurethane products and solutions fully compliant even with the proposed further restrictions suggested by the German Dossier submitted to ECHA. 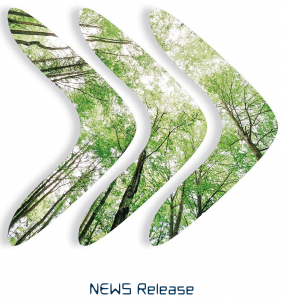 “SAPICI is confident that any further decisions regarding the use and circulation of chemicals in Europe will be taken in respect of the demonstrated commitment, the achieved results and the progressive continuous improvements that the Industry through its players has been able to show and sustain,” commented Cristian Furiosi, CEO of SAPICI. “Already thirteen years ago, first in the world SAPICI introduced aromatic isocyanates with ultra-low free monomer content (less than 0.1%) representing a milestone in the Coating and Adhesives industries and still a benchmark in the market. That means that even in case the proposed further restrictions would pass the on-going public consultation, and they would be implemented, there would be no changes for SAPICI’s clients already using ultra-low free monomer products: neither in terms of product supply, nor in terms of linear pricing. We also believe that for any standard PU application where formulations below 0.1% cannot be developed yet, the market should be allowed to use the available products, always in full respect of the existing laws, regulations and best practices,” Furiosi added. As regards labelling, SAPICI’s innovative and sustainable Aromatic (both MDI and TDI based), Aliphatic (HDI based) and Hybrid Aromatic/Aliphatic Polurgreen Line of isocyanate products with ultra-low free monomer (<0.1%) already make it possible for the clients to downgrade their own products’ Hazard Pictograms and Statements from “danger” to just “warning” — without the use of the Serious Health Hazard Pictogram —, thus immediately showing the lowering of the potential risk of the final products. Such advantages would not be possible with other SAPICI products containing even just <0.5% concentration of free monomer. 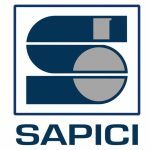 SAPICI wishes to reassure its clients that while keeping investing in the development of new products, the Company is not planning to discontinue its standard polyurethane product range.